When trout fishing with powerbait you will learn that there are two main types of trout rigs that are used. The gang hook rig, which involves the use of a set of number 10 gang hooks, and the treble hook rig, which involves the use of a number 12 or number 18 treble hook. The key to either of these trout rigs is to use very small fishing hooks and light leaders. Use A Powerbait Press – You’re probably asking yourself, “what is a powerbait press” and why in the world do I need one for fishing with Powerbait?” A powerbait press is a plastic device that you use while fishing with powerbait to form your bait into the perfect sized ball without having to actually touch the bait. This is important for a few reasons. First of all using a powerbait press keeps any human scents off of your bait, which means that the trout are much less apt to smell something out of the ordinary and pass up your offering. Second it distributes the perfect amount of Powerbait without any waste. The Weight Of Fishing Line That Is Used – Anytime that you are fishing with powerbait it is vitally important that you use light fishing line. 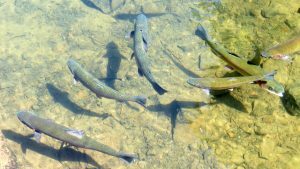 Trout have very sensitive eyesight and are found in very clear water most of the time. For these reason very light fishing line should be used at all times when trout fishing with powerbait. No line heavier than six pound test mono-filament should be used and two to four pound test is ideal. 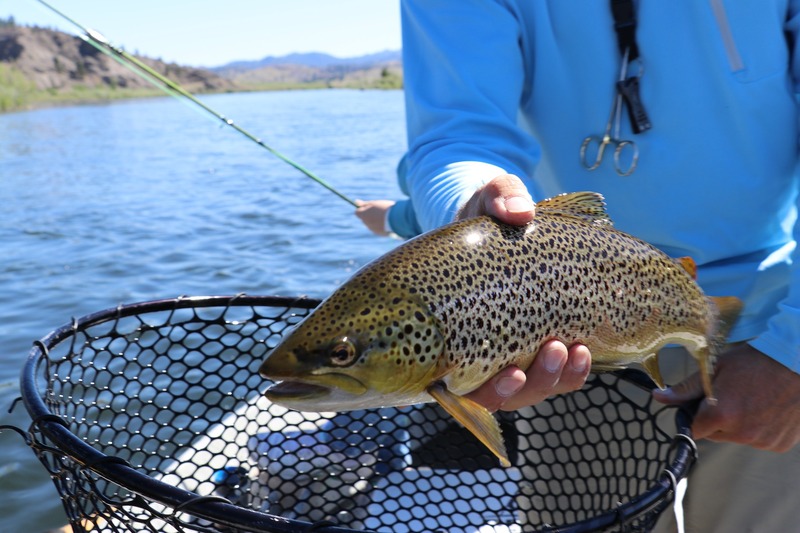 If you use fishing line that is too heavy you will get many fewer bites when fishing for trout. There is no doubt that your trout rigs, the way in which your powerbait is baited, and the weight of your fishing line are all vitally important anytime that you are fishing with powerbait. Keep these simple tips in mind the next time that you are on the water and you will experience much more trout fishing success when using powerbait. Using powerbait is a must for beginners whilst fishing, Berkley have made this one of the best tools around making it a must tool to have, allowing the fisherman or fisherwoman to now need less equipment to fish.